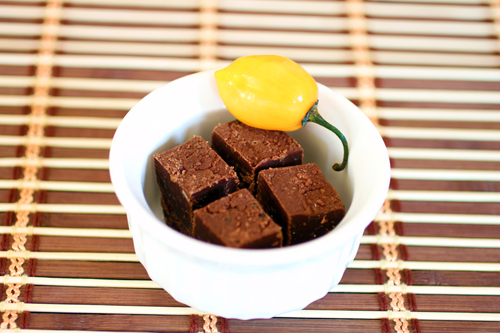 This spicy fudge recipe with habanero peppers is easy to make, and the result is better than anything you'll find in stores. It is quite creamy and pairs perfectly with the flaming habanero flavor. Heat a large saucepan to medium heat. Add marshmallow creme, sugar, evaporated milk, butter and salt. Bring to a boil and cook 5 minutes, stirring constantly. Remove from heat and add chocolate chips, habanero peppers and vanilla. Stir until melted and uniform. Pour into an 8x8 pan and chill in the refrigerator until firm, about 3 hours.